There are few plant names that instil as much fear into the hearts of property owners as the dreaded Japanese Knotweed. With its ability to grow up to 10cm a day through the seemingly impenetrable, and resist poison and fire, it is easy to understand why these fears are so palpable. And for property owners this is bad news, as the value of their asset can be slashed, and it is nigh on impossible to eradicate the weed. 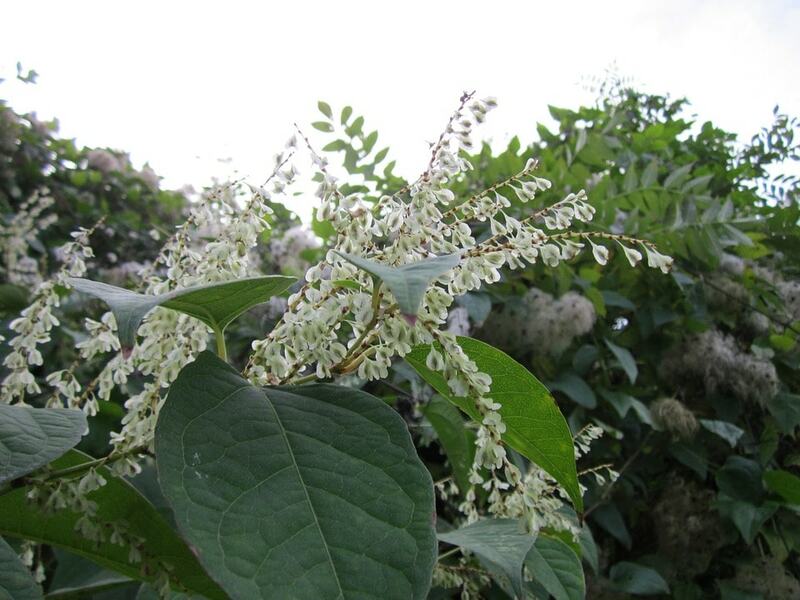 Japanese knotweed, or Fallopia Japonica is a herbaceous perennial plant originally from Eastern Asia. It was brought back to Europe by travellers in the mid 1800’s, as an ornamental plant, and has thrived ever since. While is did have properties that were seen as desirable to the Victorians, it is now considered an ‘invasive species’ of plant in the UK, and many other countries. So much so, the Environment Agency have stated that Japanese knotweed is “the most invasive species of plant in Britain”. How bad can Japanese Knotweed be? In 2011, Matthew Jones and Sue Banks, his fiancée at the time, hit the news headlines with their chilling story of the damage that Japanese Knotweed had wreaked on their four-bedroom home in prosperous Hertfordshire. It was reported that their house had plummeted in value from £305,000 to £50,000. Speaking to the BBC at the time, Mr Jones explained how he first became aware of the dreaded weed in his garden, "I was out in the garden and I noticed some stems coming through the lawn, they were like asparagus tips, but they had a reddish tinge to them. I had never seen anything like that before, so I didn't touch it, I went to bed and in the morning it had grown a couple of inches". Rather terrifyingly, only weeks later, the weed was forcing its way through the floor and skirting board of the house. On advice from their local council, the couple instructed solicitors straightaway, and sought the advice of experts in invasive species; and the news was as bad as it gets – demolition and removal of the soil was the only remedy for its complete removal. In another case, Robin Waistell and his neighbour Stephen Williams are fighting an ongoing battle with Network Rail Infrastructure due to the encroachment of Japanese Knotweed into the land surrounding their bungalows. According to the details of the case, the weed has grown from the Railway embankment into the grounds of the properties and is now touching the foundations of the buildings. Although no damage has yet occurred, the infestation has reduced the value of Mr Waitstells house by £60,000, and he is unable to sell it. At court, it was decided that as there was no damage to foundations, a claim of private nuisance was rejected. The claimants were however successful in their claim for ‘interference with quiet enjoyment’ of their properties and were awarded £1,450.00. The case is now with the Court of Appeal. Japanese Knotweed is akin to the cockroach of the plant world – they can seemingly survive any onslaught. The removal of the plant is seemingly fruitless (pardon the pun), as the roots can be buried 7ft below the ground. Chemical treatment using glyphosate-based weed-killers can prove effective, but this requires a consistent and concerted effort over a matter of years to knock the plant back. Professionals weed removal companies can reduce the time it takes to remove Japanese Knotweed by using more virulent weed-killers than are available to domestic gardners. It is best practice when seeking to eradicate Japanese Knotweed to cut any old stems in the winter, which then assists with access for weed-killer later. Weed-killer should then be applied in May, during the growing period, and then again in July – if it is still growing, apply more weed-killer in September before the Autumn. By repeating this process starting in May each year, the weed may be kept under control. Japanese Knotweed can strike anywhere, but the best approach is to ensure that your new property is free of this pest at the point of purchase. This is where it pays to instruct an experienced conveyancing solicitor, who is adept at performing all the necessary checks and searches to ensure that Japanese Knotweed or has not been reported on or near the property. It is also highly recommended that prospective property purchasers request a survey to look for any sign of the weed – and while this will certainly add to the cost of your purchase, this is much less than the potential cost of remediating the problem if it is found after you have exchanged contracts. If Japanese Knotweed is found, whether, through searches or a survey, an experienced conveyancing solicitor will guide you on your options; whether seeking a reduction in the price and requesting a comprehensive eradication of the weed or retreating from the purchase entirely. Japanese Knotweed is a pest that, if severe enough, could cost you your home. Fighting a battle once you have purchased a property that is infected can also cost you financially and can be extremely stressful. If you have discovered Japanese Knotweed on your property, seek the advice of a specialist property solicitor who will be able to advise you on your options. Given the pace at which it can grow, speed is of the essence. If an eradication programme is implemented quickly, and you understand your legal options, you will be in a position to tackle this invasive weed in the best manner possible – while protecting your asset, finances, and health.